If you wanted to predict the future of the web, how would you go about doing it? 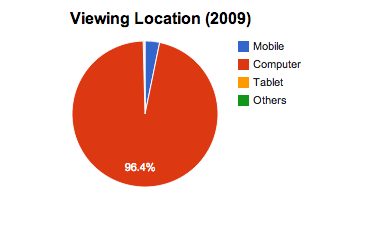 Further, what if you wanted to know how people accessed and utilized their church’s website? For starters, you take a look at the hard data. We’ve been collecting data on 50+ churches for over three years and the data, dear friends, is astounding. If I told you everything we’re uncovering through these analytics, your head might explode. But, not one to disappoint, here’s a peek into where we’re going. 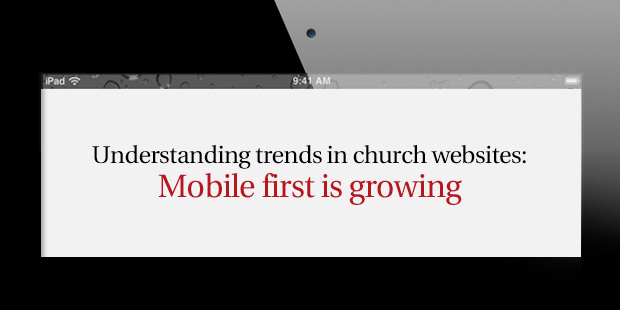 Here at Monk, we’re definitely seeing a trend with churches wanting to design for mobile-first. 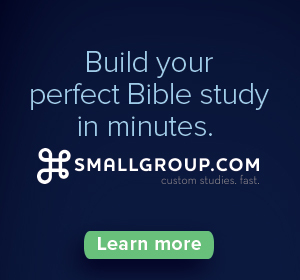 We worked with The Village Church recently to create a site-wide responsive design. If you’re not familiar with responsive, it means a website is “aware” of the type of browser it’s being accessed on—mobile, tablet, or desktop—and “responds” accordingly. Keep in mind, this is only four years ago. Barack Obama was still a new President and poor ol’ Tiger Woods announced an “indefinite leave from professional golf” to work on his marriage. Seems like it was just yesterday but, of course, it wasn’t. 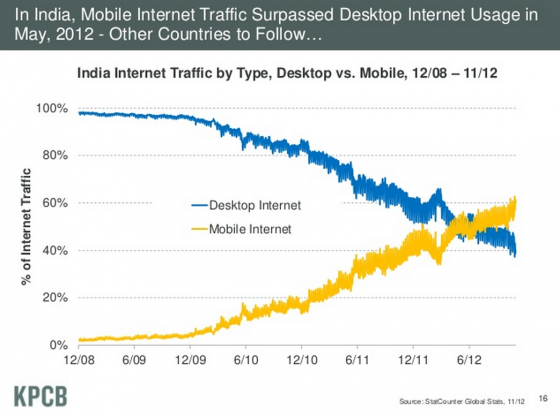 Look at mobile-savvy cultures like India to see where the U.S. is headed in terms of website usage. 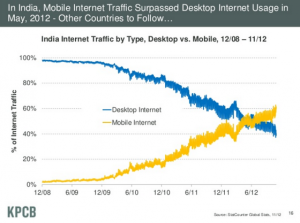 According to Mary Meeker’s research, India become a mobile-first country in May 2012. for the first time in history, more people accessed the web in this country via mobile than did desktop. As the slide states, many more countries will follow. So will many churches. 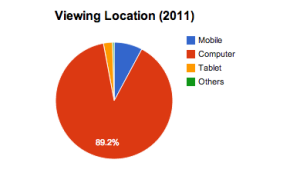 Organizations must begin considering a mobile-first environment. 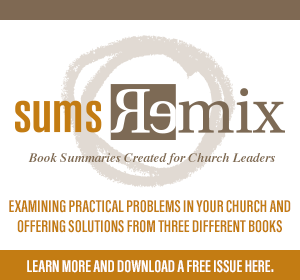 This can be especially daunting for churches who still wrestle with the purpose of their desktop-based website. The data I’ve presented here is a small snippet of what we’ll be covering in our yearly “State of the Church Online” report, due out the end of this month. You can get early access to the report by joining our mailing list here.